The NIV and NASB currently are the primary versions used by almost all Christian Protestant denominations. 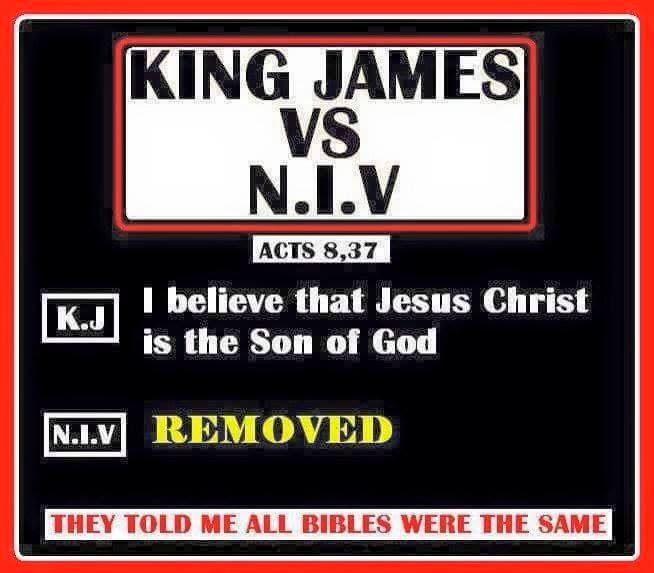 The NASB was first published in 1963(a), while the NIV was published in 1970. (b) Since then Protestants have used the NIV & NASB exclusively for doctrinal teachings and for memorized many verses from it. Below is a long but not complete list of the most detrimental differences. One person said to me that the "mistakes" do not alter the underlying message being given. 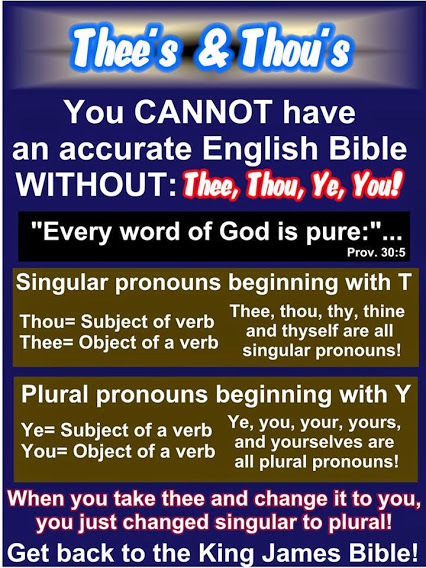 Others have said to me that the King James translators expected people to alter it to be more easily understood than the old English they used. I would concur only if these alterations did not change the message of the verses. But you be the judge as you go down the list. Riches and honour are with me; yea, durable riches, and righteousness. With me are riches and honor, enduring wealth, and prosperity. Riches and honor are with me, enduring wealth and righteousness. Whoever pursues righteousness and love finds life, prosperity, and honor. He who pursues righteousness and loyalty finds life, righteousness, and honor. “How you have fallen from heaven,O star of the morning, son of the dawn! You have been cut down to the earth,You who have weakened the nations! Beware of practicing your righteousness before men to be noticed by them; otherwise you have no reward with your Father who is in heaven. For I have not come to call the righteous, but sinners. For I did not come to call the righteous, but sinners. "Why do you ask me about what is good?" "Why are you asking me about what is good?" Ye know neither the day nor the hour wherein the Son of man cometh. You do not know the day nor the hour. But Jesus answereth again, and saith unto them, Children, how hard is it for them that trust in riches to enter into the kingdom of God! But Jesus said again, “Children, how hard it is to enter the kingdom of God! But Jesus *answered again and *said to them, “Children, how hard it is to enter the kingdom of God! Jesus answered, “It is written: ‘Worship the Lord your God and serve him only. We must work the works of Him who sent Me as long as it is day; night is coming when no one can work. And the four living creatures kept saying, “Amen.” And the elders fell down and worshiped. ...and fire came down from God out of heaven, and devoured them. ... But fire came down from heaven and devoured them. ...and fire came down from heaven and devoured them. Not only do the alterations introduce dangerous misconceptions to what is written in the verses but they are misleading even to what one must do to be saved. And if that wasn't already bad enough they even mess with the very verses that pronounce a curse, from God, upon anyone who tampers with God's word. By changing "book of life" to "tree of life", they suggest that they will still be allowed into heaven but just won't get to eat from the tree that brings immortality. However the original Greek is very clear that this "book of life" is the one that at the Great White Throne Judgment determines your final destination of Heaven or the Lake of Fire. At least here all the versions are in agreement. If you would like to have God add your name to this "book of life" please click here and find out how to accept Jesus as your Lord and Saviour by repenting of your sins. Back to Which Bible Version is Right?